As we type this, a bunch of people in Cannes (including filmmaker Q) have already seen Anurag Kashyap's Raman Raghav 2.0. To say the buzz is immense, would be an understatement. Raman Raghav 2.0 is a neo-noir film based on a serial killer from Mumbai who operating during the 60s. And even though the film is titled after its protagonist, the film has reportedly put out a disclaimed at the very beginning claiming the film is not about him. It also follows Bombay in the 60s, the ever-so-explored themes of morality, good versus bad (best manifested by Vicky Kaushal as a cop) in a thematic game of cobs and robbers. This is Kashyap's third entry in five years at the Directors' Fortnight section, his previous ones being Ugly and Gangs Of Wasseypur. 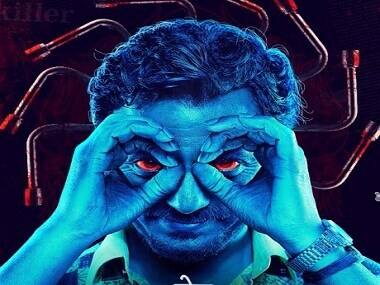 Nawazuddin Siddiqui in 'Raman Raghav 2.0'. The film had its premiere at Cannes on Monday, and since then many international portrals have published (mostly positive) reviews about the film. Third time's a charm, they say. This Screen Daily review, for example, praises the tone and feel of the film, but also talks about the underdevelopment of the characters in the film. "It’s a propulsive and bloodthirsty thriller with a brash use of music and a jangling, adrenalised energy which rarely flags. It should connect with a young Indian audience, both domestically and within the wider diaspora, looking for a hip, confrontational alternative to mainstream Hindi cinema," reads the review by Wendy Ide. Meanwhile, this review by Variety lauds the stylistic elements in the film but calls it too locally wound to be of international interest. "Domestic commercial returns for this unabashedly sensation-seeking outing may well be healthy enough to give that [a sequel] possibility a blood-spattered green light, though one hopes Kashyap — whose limber, enthusiastic work here jolts more than it actively surprises — has his eye on fresh genre terrain to exploit," writes Guy Lodge. Hollywood Reporter calls Anurag Kashyap an auteur and "India’s most exciting crossover filmmakers", but is also quick point out that the film would probably work best with its Indian audience. "The story could have turned into one huge cliché, and there are genre elements that are numbingly familiar, was it not for the exceptionally scary performance of Nawazuddin Siddiqui in the role of the villainous, demented serial killer," writes Deborah Young. 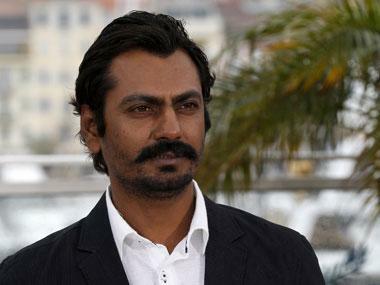 While this is Anurag's third entry in the Director's Fortnight at Cannes, Nawazuddin has been a regular. His first appearance was with Ashim Ahluwalia's Miss Lovely in the Un certain regard in 2012, and subsequently he has seen five other films premiere at the festival: Gangs of Wasseypur, Monsoon Shootout, The Lunchbox, Bombay Talkies and now Raman Raghav 2.0.